It’s a well maintained property. I love this place that I always stay here whenever I visits London. The staff are very helpful and friendly. Their service is fast when you need them. Thank you to all the front desk staffs and housekeeping for making my stay a pleasant one. The home is actually very cute in design. The loft like room was cute, scary steps but it was different. The location was very safe. There is a 24 h market one Block over and a gas station the other block over. The location of the apartment was excellent--close the to tube, close to Hyde Park and related sites--so it was an ideal place to stay for that reason. We loved our tiny studio. It was just what we needed. Cozy, in a great local part of town with many shops and close two two tube stations. I am not one to generally write reviews, but I was very please with our stay, after reading several reviews I was nervous. It’s definitely not a 5 star hotel, but neither is my place in NYC.. :) its a great gem for London! We were placed on the top floor, those 4 flights of steps and a heavy luggage will take your breathe away. I had the front desk assist me with my luggage and by day 7 we became accustomed to the huffing and puffing ( no elevator) and became easier with each passing day. Even so, we will return just not on the top floor. The staff on reception are really helpful. I was the first night in an upstairs apartment however the receptionist realized I was impaired and moved me to the basement with less stairs the second night. Some of the rooms are a little tatty but clean. Some of the beds are very low and not so comfy but the room they moved us to was a good ghee and comfort bed and had just been refurbished. I would definitely stay there again. 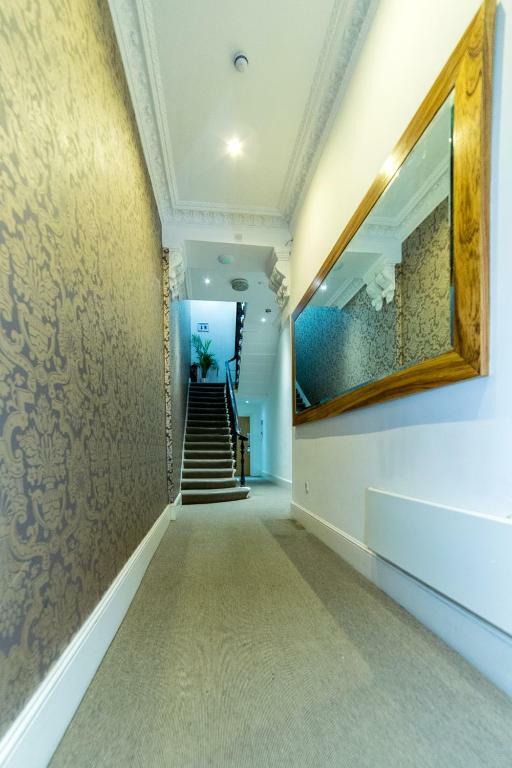 Location is superb for getting around London with two tube stations a short walk away. The only good thing about this studio was the location. 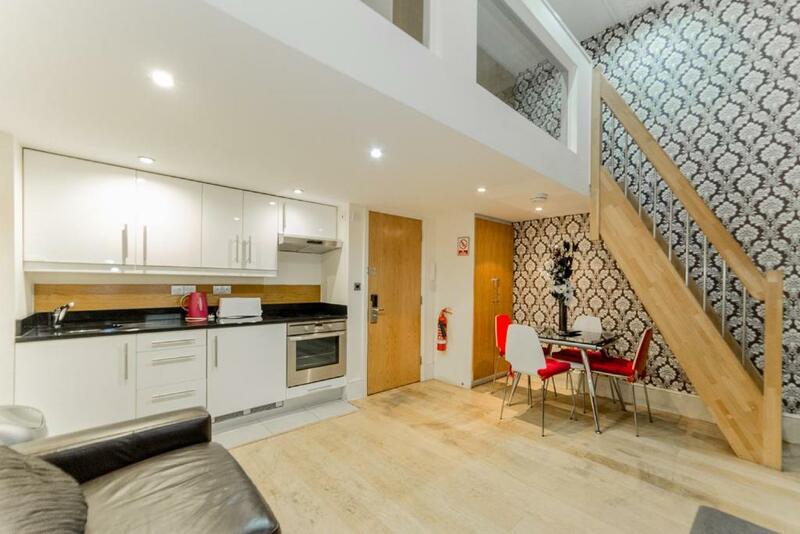 comfy, quiet, good location, plenty of places to eat and close to the tube station. The location. This is a lovely area and you have 2 tube stations and Hyde Park at your door step. Hyde Park Superior Apartments This rating is a reflection of how the property compares to the industry standard when it comes to price, facilities and services available. It's based on a self-evaluation by the property. Use this rating to help choose your stay! One of our best sellers in London! Hyde Park Superior Apartments offers accommodations in London. Westfield Shopping Center is 20-minutes away by public transport. There is a seating and/or dining area in some units. There is also a kitchen, fitted with an oven, microwave and toaster. A refrigerator and stovetop are also featured, as well as a kettle. Towels and bed linen are provided. Portobello Road Market is 0.8 mi from Hyde Park Superior Apartments. Heathrow Airport is 14 mi from the property. There is an express train to Heathrow from Paddington Railway Station, which is 5 minutes from the apartments by public transport. When would you like to stay at Hyde Park Superior Apartments? This apartment features a private entrance, stovetop and oven. This apartment has a stovetop, flat-screen TV, a double bed and a sofa bed or 2 single beds. This apartment features a kitchen, stovetop and kitchenware. This studio has a kitchen, kitchenware and oven. 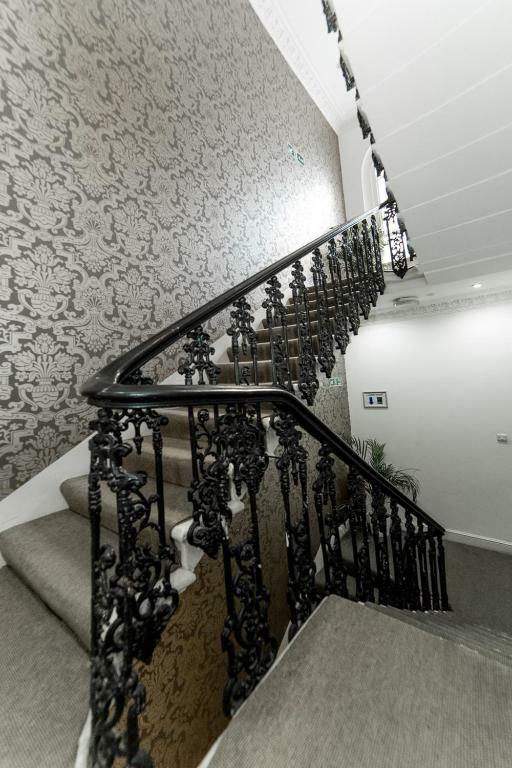 In the stylish Bayswater area of London, Hyde Park Superior features one-bedroom and studio options with free Wi-Fi, flat-screen TVs and 24-hour access to multilingual front desk staff. Offering accommodation with stylish décor, and modern fully fitted kitchen. These apartments are situated just 350 yards from Bayswater Road, guests are a 10-minute walk from Notting Hill. Paddington Railway and Underground Stations are a 15-minute walk away. 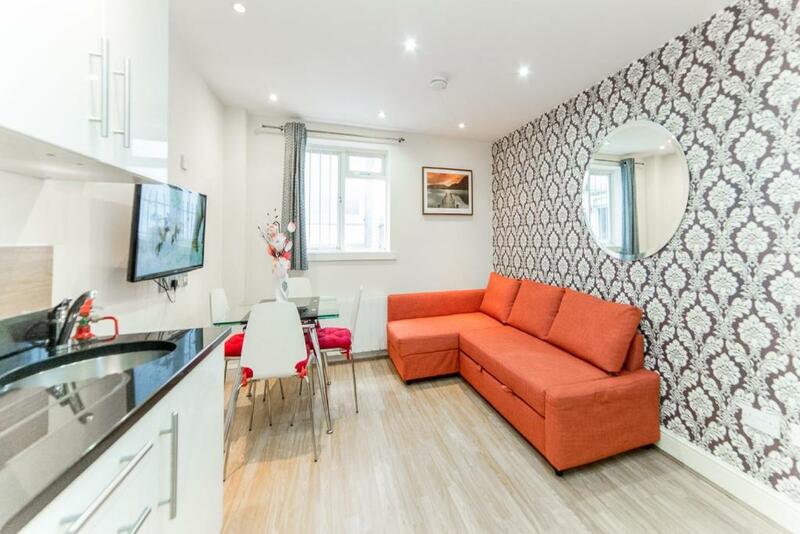 Westminster Borough is a great choice for travellers interested Westminster Borough is a great choice for travellers interested in shopping, parks and theatres. Portobello Road Market is 0.8 miles from Hyde Park Superior Apartments. Heathrow Airport is 14.3 miles from the property. There is an express train to Heathrow from Paddington Railway Station, which is 5 minutes from the apartments by public transport. House Rules Hyde Park Superior Apartments takes special requests – add in the next step! Hyde Park Superior Apartments accepts these cards and reserves the right to temporarily hold an amount prior to arrival. Please note that upon arrival, the credit card holder must be present and provide the credit card used to make the booking. Third party payments are accepted via bank transfer. The apartments do not have a elevator and staff will assist guests with luggage if required (subject to availability on arrival). Please note that check-in and key collection take place at: 55 Inverness Terrace, Bayswater, London W2 3JN. Please inform Hyde Park Superior Apartments of your expected arrival time in advance. You can use the Special Requests box when booking, or contact the property directly using the contact details in your confirmation. A damage deposit of GBP 200 is required on arrival. That's about 260.19USD. You should be reimbursed within 7 days of check-out. Bathroom was very small and room was very warm. Staff were very friendly. Room was clean and spacious. Very quiet area. The room was like a shoebox, the shower leaked everywhere, the TV looked like it would fall off the wall at any moment, we had to ask reception for a second toilet roll, we stayed for two nights and nobody came in to change sheets, towels, clean... it just seemed like 'we have your money, we are now going to do absolutely nothing' In actual fact, it seemed like us staying there was an inconvenience to the staff. Initially had problems with the noise in our basement rooms. The doors are set to alarm when left open, but tend to go off whenever they are open. We spoke to the staff about it and they were very helpful and allowed us to move to a quoted room on the top floor, which also had a much nicer view. The room was located at the very top of the building with the last staircase being very narrow and turned at the top to a small very small landing with the entrance door opening out I found this to be extremely dangerous especially when trying to manoeuvre luggage. The room was badly in need of painting the bed was old and the bathroom was far to small to try having a shower it needed a good update also. No change of towels sheets toilet rolls. Felt so very disappointed when we got there as I felt very deceived as the images of the rooms does not match them in reality. The entrance hallway had tiles cracked and the stair carpet was full of stains. Shower was rather small and wasn’t very powerful, could do with a shelf in there to put shower gel etc on as had to put it on the floor. The guy at reception was nice and checked us in quickly, we was confused with what building we were in as on Booking we were given a different postcode to the key collection place but we were actually in the building where the key collection was. Small room but comfy and has everything you need. No daily cleaning of the room. Fantastic location and warm staff. The location was very good for what we required. Hi,there! Everything is very pleasant, comfy beds, kitchen utilities are nice, the location is superb, the host was very professional and gave us two rooms nextdoor. Thanks a lot. Lovely location! 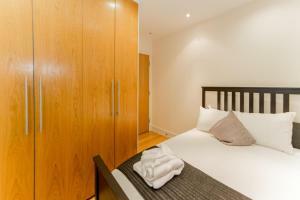 2 minutes walk from Hyde park, loads of transports, bus, cycles, underground and walking distance even! Loads of restaurants and supermarkets nearby. The property had a kitchen. We cooked several meals which helped us to save good money! A lot better than hostels and over priced hotels! Studios are the concept of the future. We really enjoyed our stay. It was well done several years ago, but time took it’s toll. 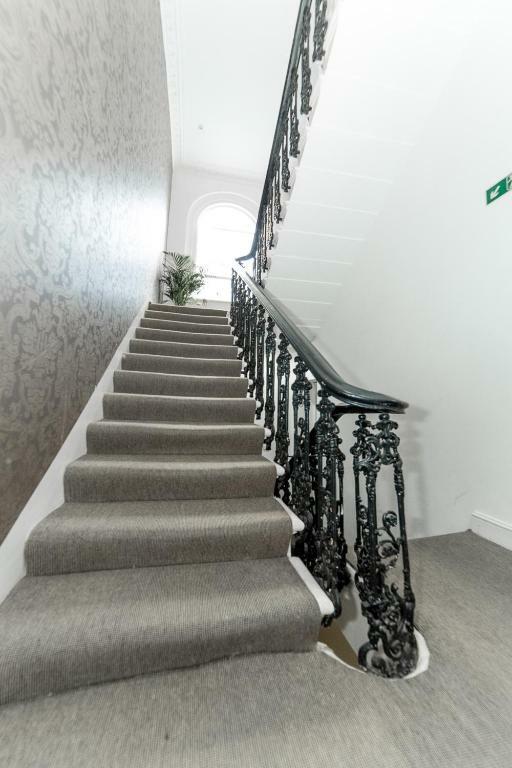 I was given the wrong key card by reception after climbing 5 flights of stairs when I rang reception he told me he has given me the wrong room number and I was to go back to reception to get the right key. I had to leave the property and walk down the road it not like it was just downstairs. One in the correct room my “superior apartmebt” was more like a low rated bed site. It was so small nothing like it had been advertised on the website I was appalled. It was dark, it smelt, the sofa has white stains everywhere, the Ben linen had holes in, the walls were stained and marked with dirt/black and when we opened the curtains to get some light in we were greeted with a wall. It was my 30th birthday I was so upset as I was expecting a representation of the website I certainly didn’t get that. It was so small, clostrophobic I was devasted. I rang reception and the man was quite rude he said “ we are fully booked what do you expect me to do about it” having checked booking.com before hand there were a few rooms left so he had lied. I was that upset and couldn’t stand to stay in the room any longer than one night I left half the party there and came home with the other a day early. I certainly didn’t expect to find myself crying on my 30th birthday celebration I was absolutely gutted. Nothing like the website at all I am furious. Rain on plastic roof all night!